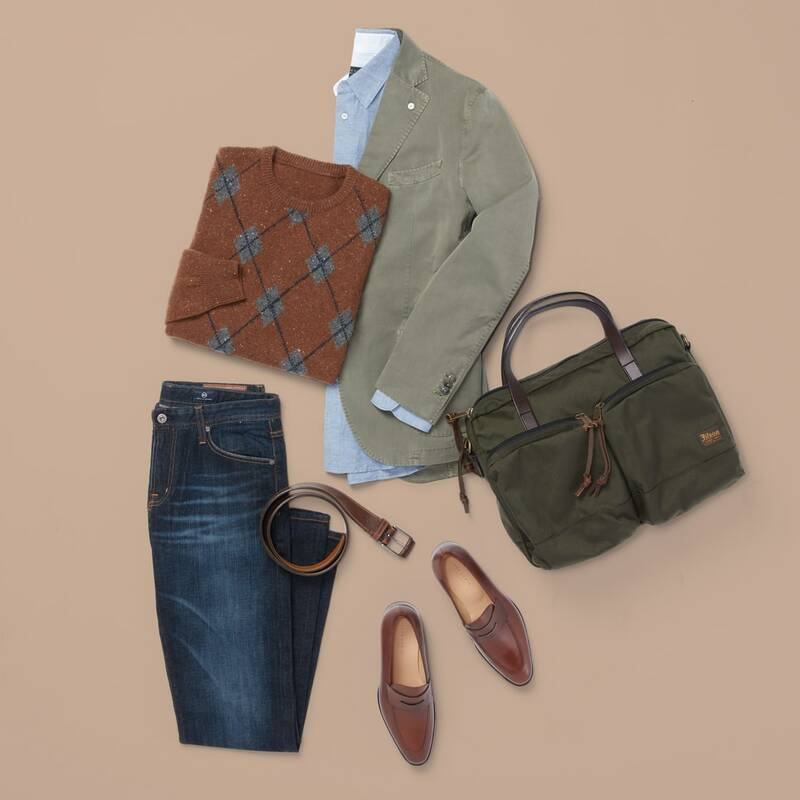 When fall officially hits, it’s natural to lean toward a more buttoned-up style. 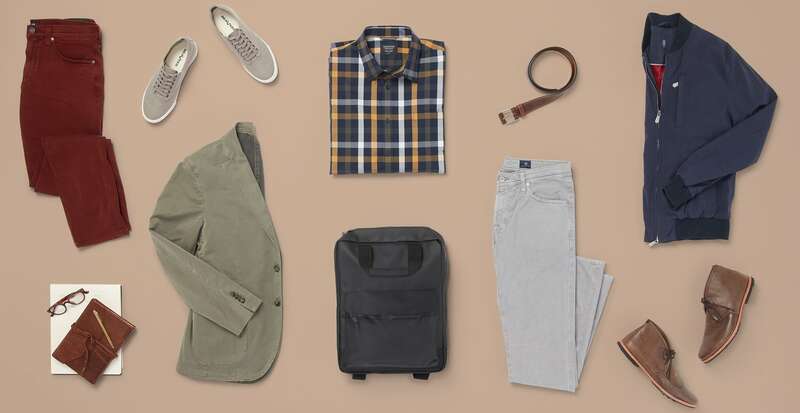 Oxford shirts, blazers, and loafers are preppy men's essentials, but helping you put your own spin on this look with new, updated pieces is what we do best. These looks may be academia-inspired, but that doesn’t mean they have to be straight-laced. 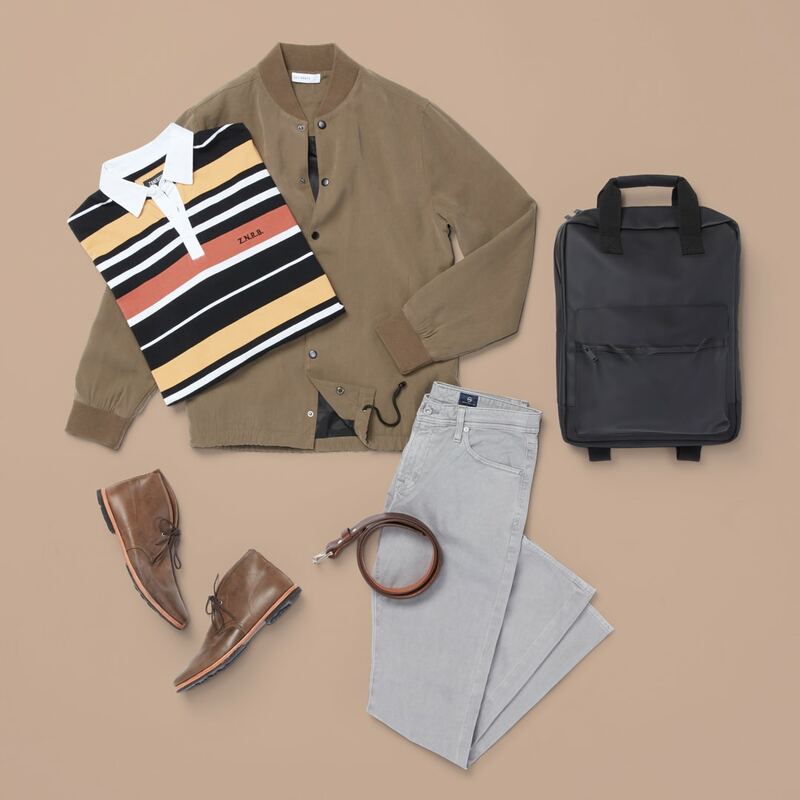 If you’re going for a classic look, a button-down, crewneck sweater, and blazer are all you need (and in that order). Keep in mind, the fit is important. A slimmer fitting shirt will hug closer to your body and avoid any extra bunchiness or bulk when you layer on a sweater. And in casual settings, there’s no need to tuck. Show off your contrasting shirt and sweater by letting the tail of your shirt peek out underneath. A check-shirt-and-denim outfit is a fall staple. Give it a twist by swapping out your traditional dark-wash jeans for a pair of fall-colored denim. (If this look is something you could see yourself wearing to the office, check out performance work shirts, too.) Tie it all together with a varsity jacket, sneakers, and sunglasses. Add a touch of sporty style to your fall wardrobe while still looking polished. A traditional rugby shirt feels fresh when paired with this minimalist take on a vintage varsity jacket. Ditch the sneakers and try out a pair of soft leather or suede chukka boots for a look that’s a little more refined.